In tough fiscal times, scientists from a wide range fields worry that their area of research will be disproportionately hurt. As the Director of NIDA, my job is to ensure that we continue to support a balanced portfolio that makes the most of the scientific opportunities that are emerging and stands the best chance of improving the public’s health. Lately, I’m hearing concerns from the field about NIDA’s and NIH’s commitment to support basic science—science that yields new knowledge but cannot be turned quickly into clinical applications, such as new treatments. I want to assure the research community, and the public, that this concern is completely unfounded. Basic research is the bedrock of science, in biomedical fields as much as in other areas. This is a fact about science that is often hard to convey to the public and policymakers, since the rewards of investments in basic research may take years to emerge. Often, and especially with some of the most innovative research ideas, we can’t know or even imagine all of the future applications. But this does not diminish the value and importance of such research. For example, the detailed study of the internal structures of animals and humans long preceded biologists’ and physicians’ full understanding of anatomical functions and disease processes, but modern medicine would not exist without that basic foundation of knowledge. In our time, NIH funds basic research into brain structure and functioning whose translational payoffs are still in the future. NIDA funding enabled Stanford University researcher Karl Deisseroth, for instance, to refine the revolutionary technology called optogenetics, which allows neural circuits in live animals to be studied by activating and deactivating neurons noninvasively, using light. 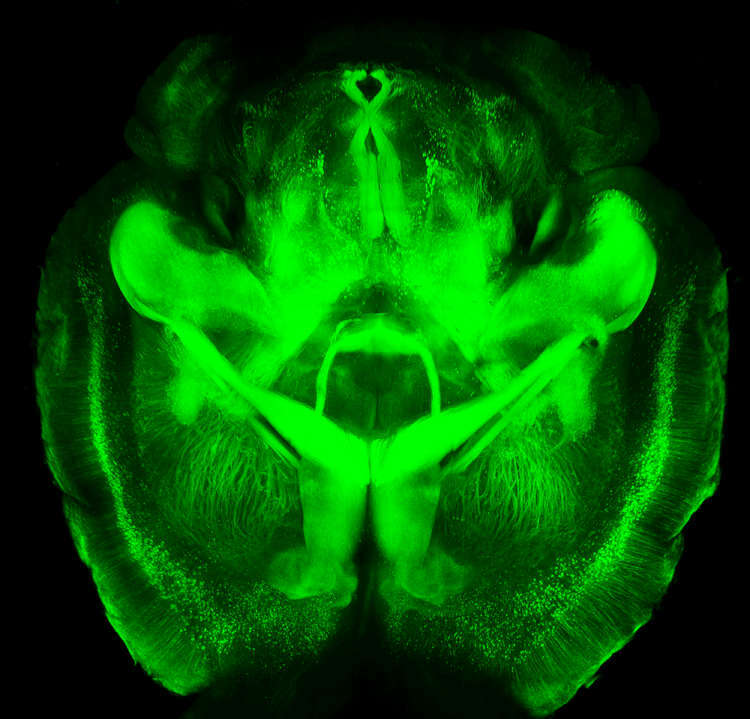 More recently, Deisseroth has also developed a novel method (called CLARITY) to render the brain transparent so that its small-scale neural structure can be visually examined. It is too soon to know all the discoveries Deisseroth’s innovations will make possible. His research could enhance our understanding of brain connectivity the same way the early anatomists’ detailed maps of internal organs made modern medicine possible. We would never know, though, if NIH IC’s did not fund this kind of basic science. NIDA devotes a substantial portion of its budget to support basic research at many levels. 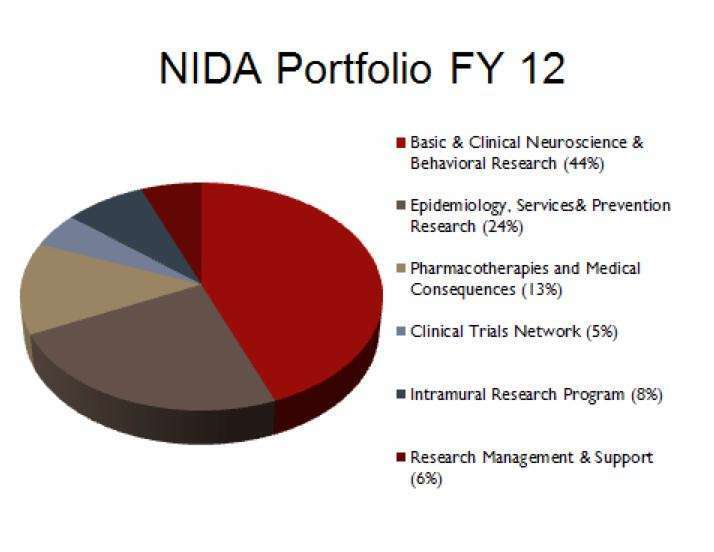 In the pie chart below, representing NIDA’s 2012 budget, the red slice consists mainly of basic research. The science of addiction cannot move forward without a large and expanding base of knowledge about the brain as well as genetics, epigenetics, and range of other areas. It calls for our continued investment in knowledge-generating science that will lead someday to new medications or treatments for addiction that we cannot now even foresee. NIDA. "Support for Basic Science." National Institute on Drug Abuse, 20 Sep. 2013, https://www.drugabuse.gov/about-nida/noras-blog/2013/09/support-basic-science. NIDA. Support for Basic Science. National Institute on Drug Abuse website. https://www.drugabuse.gov/about-nida/noras-blog/2013/09/support-basic-science. September 20, 2013.